Those are questions that all of us ask sometime in our lives. I got interested in my family ancestry after receiving a family tree of the Sekura Family of Sokolovac, Croatia, my birthplace. I remember finding someone with our last name in this family tree. I asked my father if we were related and his answer was no. An unusual last name in a small village not being related seemed odd to me. I set out to find the answer in 2004 when I started looking at microfilms of church books where births, marriages, and deaths were recorded. These microfilms can be found at the LDS Family History Library in Salt Lake City, Utah, USA. I started out recording information for my family but soon switched to recording all information found for the village of Sokolovac, Croatia. Later I added research on about 20 villages in this area of Croatia. The people that one can find family history on in this web site are primarily ethnic Germans. They came to this area of Croatia, starting about 1860. Most of these people came to Croatia from Hungary or from an area in Europe that is now in the Czech Republic. 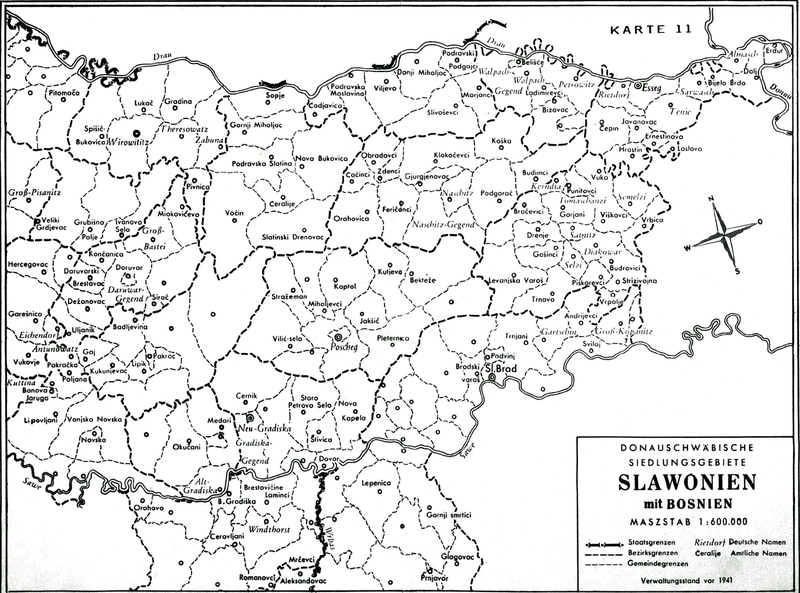 The Hungarian ethnic Germans can be traced back to the mid 1700 in various church books. No filmed church records have been found for the Czech Republic. Additions added periodically, so check back!